Took 2 days off work and set out with 4 others from Emerald for the annual Imbil Motorcycle rally. Imbil is about 50km south of Gympie, sort of behind the Sunshine Coast. More riders had said they were coming but a week or more of rain right throughout Queensland affected the numbers. We had a ute following us this year – there were no Harley’s expected so it wasn’t there as a recovery vehicle, it was for our camping gear and a few supplies. We went down to Mundubbera – approx 550km on the Thursday and stayed with Vern. Vern is Bruce’s mother-in-law and boy did she look after us. 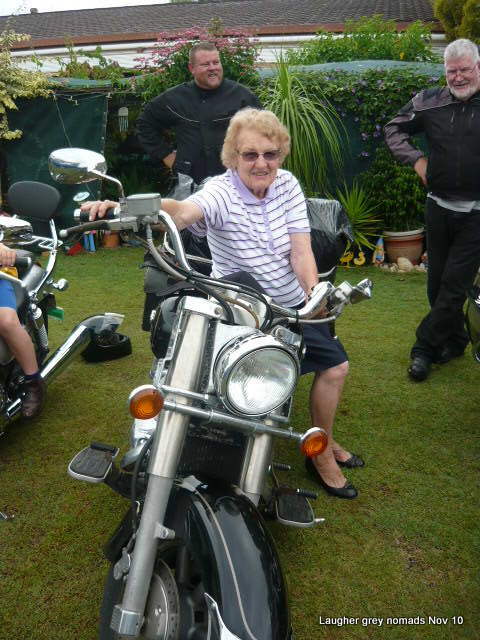 Well done Vern – we are already making plans to be there next year on our way down to Imbil. I managed to leave our camera at Emerald. The above photos are courtesy of Bruce’s sister-in-law. We rode through heavy rain both going down and coming home. My screen on the Yoyager worked extremely well and it was only my legs from the top of my boots to my knees that got wet. Some of the others copped a drenching though – at least it wasn’t cold and we all dried out as soon as the raim stopped. There were 1000 bikes at the rally. On Saturday not many went for a ride but Noel, Peter, Bruce and I were game. It was raining by the time we got to Eummundi for the markets but we had a brief look around and all vowed to return on a dry day. 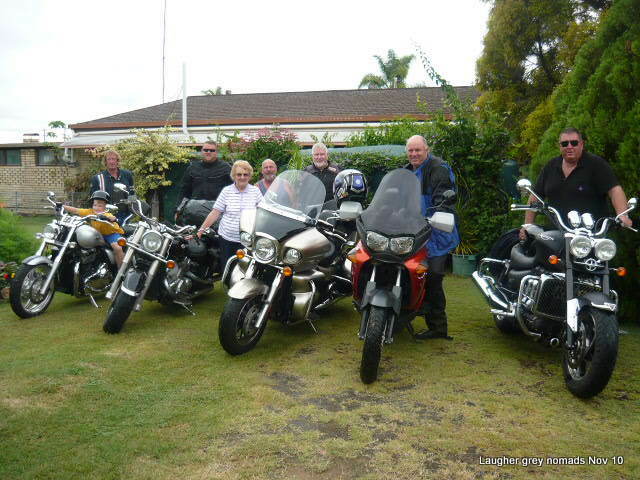 We then did a loop back to Imbil via Nambour and Maleny. 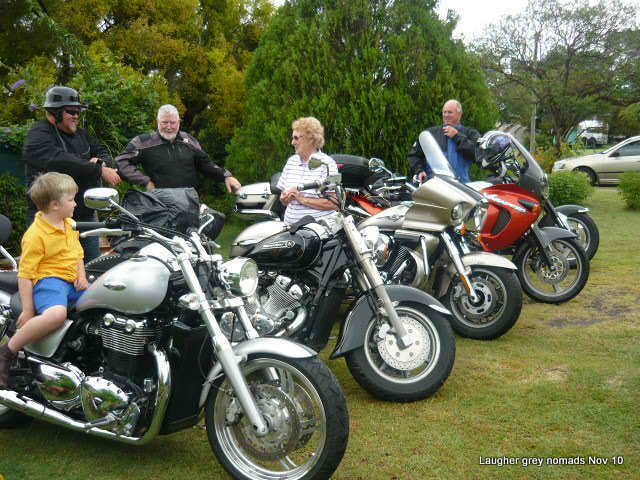 The road was dry after Nambour and we all had a ball on the cruiser-friendly roads. Packed up in drizzling rain on Sunday morning and headed home. We got a drenching from Monto to Biloela and then again from Dingo to Emerald. In the wash up we are all keen to do it again next year and already have plans for an extended stay. Bruce and Vern get the cooks awards, Peter the wet wallet award, Col the ute driver extra-ordinaire award and Noel the scenic tour organisers gong. I still didn’t find time to go for a look at all the 1000 bikes or to catch up with Karen and Mick – hence our extended plans for next year.